They don't even have to use these skills in later life, but they'll be there if they ever have to. Growing up keeping stock makes you look at things differently, their view of the countryside will be shaped because of it. Growing up with stock for me was great, one of the main reasons was because it meant I got to spend a lot of time with my dad, I had friends saying they didn't really know their own father growing up, whereas I'd spend hours and hours every week with mine (that's not saying we always got on during my late teen years mind...). Also I was asked my opinion on things from a young age, not only that my opinion was often listened to. 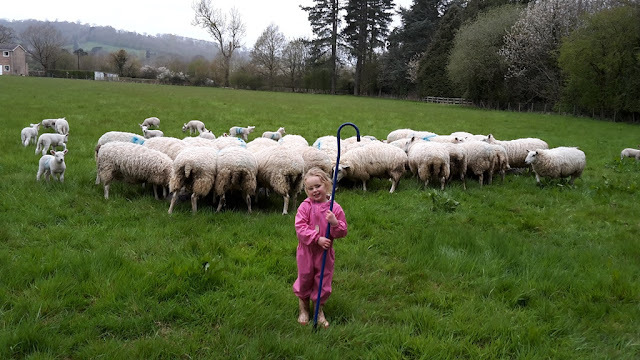 If I was checking the sheep and spotted something then my dad would act on what I said, it really gave me a sense of responsibility early on in life. So I'm sorry for the down beat post yesterday. I sometimes need to step back and look at the bigger picture and thank you for all your comments yesterday and making me do that. kev - you are a tribute to your dad! and your children are a tribute to you! i can't think of anything more important! so keep up the good work! I think sometimes,it's easy to get discouraged. I've never raised sheep, so I can't give you an honest opinion if they are worth it. It's all on priorities. I have chickens. I do my darkest taking care of them because it's something,at. End of the day, I do enjoy. 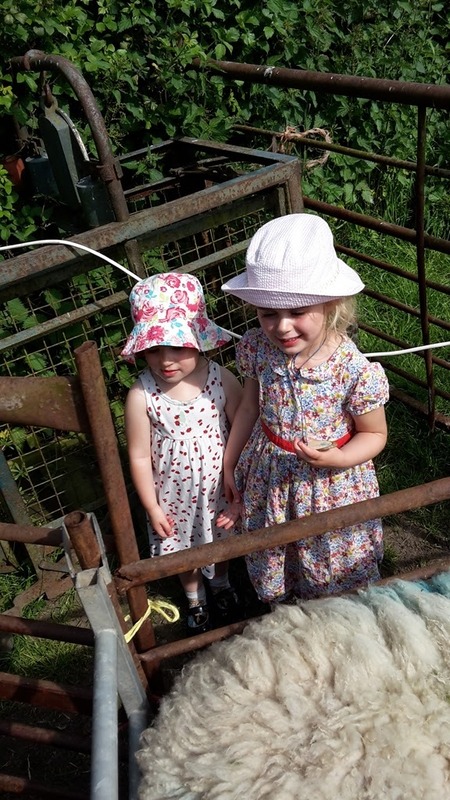 Your girls seem to enjoy being with you working together on the sheep. You are creating great memories. I loved keeping sheep- but simply because the lamb was so delicious! We were told very early on that if you have livestock you will have deadstock and we made some dreadful mistakes in our first years. We only had 4 - 6 ewes at a time plus lambs,ram and wether.That was enough for our land and even then we were able to use a paddock of a neighbour for separating. I think we covered our costs by selling half lamb freezer packs. Our main problems were fly strike, though we did have orf once but only on one lamb. 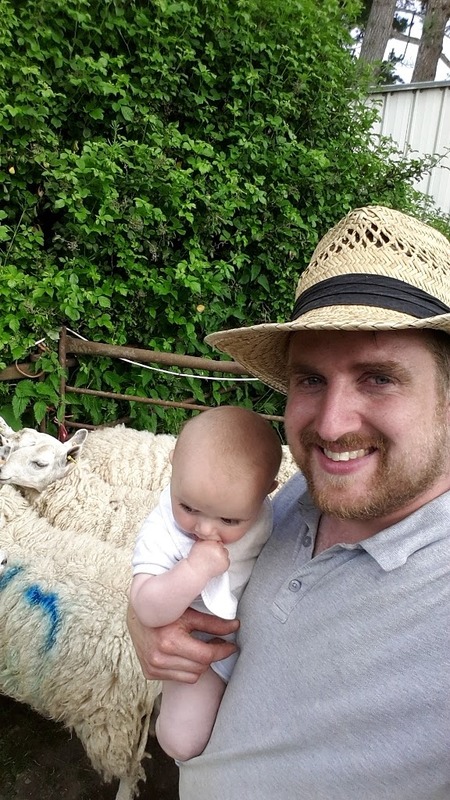 We stopped keeping sheep when Col packed up work and we needed a proper income from the land which we then used for chickens(eggs) and hay, both of which made an income rather than just covering costs. Great point about spending time with family! Besides, sheep are fuzzy and cute. Well said. You are providing your children with exactly the same good upbringing you had. Time with both you and their Mum is a very precious thing, how many children can say that they spend as much time being with, talking to and being listened to by both their parents as yours can in these busy times. So many are 'farmed' off to after-school clubs, breakfast clubs and activities around school and during the holidays with weekends being spent in their rooms on computers. Everything has a purpose, Kev. I don't know anything about sheep. But I had two black nubian goats. I got them to eat the thistles and weeds in the meadow. Instead, they ate the sides of my log buildings, they ate the brake fluid lines on my truck, they pulled down the laundry off the clothes line and ate that. I gave them to an old guy who had a petting zoo and who promised not to see them to the Mexicans to get eaten. We raised four children on our big farm. None of them wanted to continue it so we sold it and bought our little farm, BUT all of them feel they benefited tremendously from being raised on a farm. They are such hardworkers, they are strong problem solvers, they all handle their money well, and they still come every Sunday and help with current jobs on our new farm. Whether its sheep, cows pigs, crops, whatever there is HUGE INTRINSIC VALUE to be gained in farming. Hang in there Kev! I didn't take your post yesterday as "down." You were simply expressing your feelings at the time.